About Small Beer | History & Origins of the "Common Ale"
Small beer, like so many wonderful inventions, eventually fell out of favor. But the term, referring to a triviality, something of little importance, did not. In America we say “small potatoes,” but in England to this day it’s “small beer.” Examples abound, including one from Ludwig Bemelmans (1898–1962), English wit, author, and illustrator. 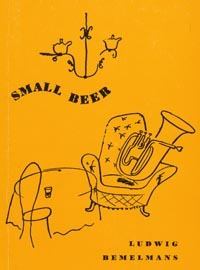 His Small Beer, an amusing little book of short stories and clever illustrations, was first published in 1939, the same year he introduced Madeline to the world of children’s books. In 1828, Hertfordshire brewer John Izzard Pryor (1774–1861) retired to the country, leasing his Baldock Brewery (c. 1730–1965) to his sons. At Clay Hall, near the small village of Walkern, Pryor began keeping a journal of his daily activities. 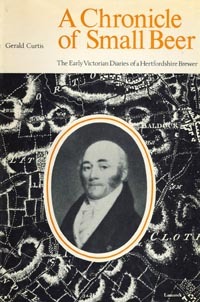 Although he was a more accomplished brewer than diarist, his journal comes to life in a book by Gerald Curtis, whose wife was a Pryor descendant. 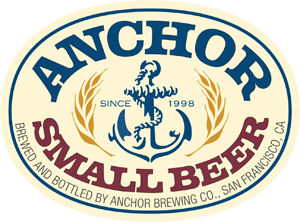 Inspired by a line from Shakespeare’s Othello, its apt title is A Chronicle of Small Beer. 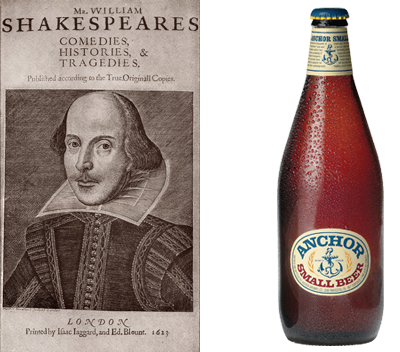 William Shakespeare (1564–1616) refers to small beer in a variety of ways in a variety of plays. His Henry VI, in three parts, and its sequel, Richard III, combine to create a monumental historical tetralogy. Cade. I thank you good people—there shall be no money; all shall eat and drink on my score, and I will apparel them all in one livery, that they may agree like brothers, and worship me their lord. Cade. Nay, that I mean to do. Is not this a lamentable thing, that of the skin of an innocent lamb should be made parchment? that parchment, being scribbled o’er, should undo a man? Some say the bee stings, but I say, ’tis the bee’s wax; for I did but seal once to a thing, and I was never mine own man since. 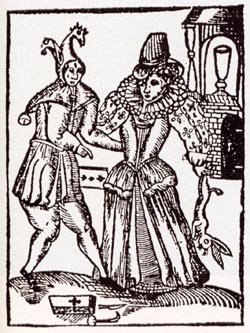 The Taming of the Shrew (c. 1590–1594) is a play within a play. In the induction (prologue), reminiscent of a tale from the Arabian Nights, a lord punks Christopher Sly, who is both tinker and drunkard. Sly wakes from a bender to be told that he is no commoner but a lord, with a beautiful wife and riches beyond imagination, for whom a theatre company is about to give a private performance of a play about a man and his shrewish wife. Scene 2 of the induction begins with a request from Sly for a pot of small ale to cure his hangover. Such a cure was known as the hair of the dog, based on the belief that, like rubbing the hair of a rabid dog in the wound from its bite to prevent infection, alcohol was the best cure for a hangover. Sly. For God’s sake, a pot of small ale. 1. Serv. Will’t please your [lordship] drink a cup of sack [Spanish white wine, a favorite of another Shakespearean imbiber, Falstaff]? 2. Serv. Will’t please your honor taste of these conserves [candied fruit]? 3. Serv. What raiment will your honor wear to-day? Sly. I am Christopher Sly, call not me honor nor lordship. I ne’er drank sack in my life; and if you give me any conserves, give me conserves of beef. Ne’er ask me what raiment I’ll wear, for I have no more doublets [close-fitting jackets] than backs, no more stockings than legs, nor no more shoes than feet—nay, sometime more feet than shoes, or such shoes as my toes look through the overleather. Lord. Heaven cease this idle humor in your honor! Should be infused with so foul a spirit [a double entendre no doubt, Sly being both drunk and in a bad mood]! Sly. What, would you make me mad? 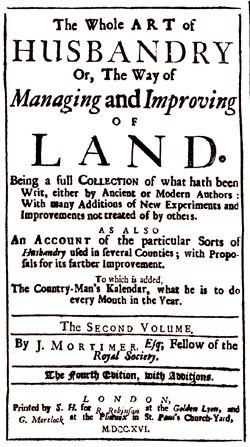 Am not I Christopher Sly, old Sly’s son of Burton-heath [probably Barton-on-the Heath, near Stratford], by birth a pedlar, by education a card-maker [cards for combing wool], by transmutation a bear-herd [keeper of a tame bear], and now by present profession a tinker? Ask Marian Hacket, the fat ale-wife of Wincot [a village near Stratford], if she know me not. If she say I am not fourteen pence on the score for sheer ale [ale alone], score me up for the lying’st knave in Christendom. I do not sleep: I see, I hear, I speak. I smell sweet savors, and I feel soft things. And once again a pot o’ th’ smallest ale. In our taproom at Anchor hangs a magnificent old beer tray, featuring Sir John Falstaff doing what he did best. Shakespeare’s Henry IV Part II (circa 1598) is in part an Elizabethan prodigal-son story about Falstaff’s drinking buddy Prince Henry (Hal), the future King Henry V. In his dramatis personae, Shakespeare calls Falstaff an “irregular humorist,” along with Falstaff’s page, Poins, Bardolph, Pistol, and Peto. Only by rejecting Falstaff and all that he represents, can Hal the prince truly become Henry V, King of England. 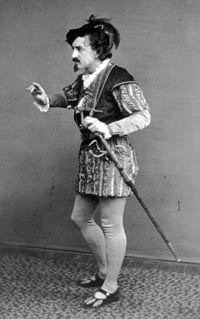 Act II Scene 2 takes place in London at Prince Henry’s house. He mentions small beer twice. Both instances are usually interpreted as simply referring to Hal’s longing for the weak beer of the common man. But Hal goes on to chronicle what would be small beer to most future kings: a subject’s name, face, stockings, and shirts. Hal is acting beneath himself, he tells Poins, by being too familiar with such a rascal and such small beer as Poins’s stockings and shirts—his dirty laundry—and which ones are in use and which ones are in reserve. Prince. Before God, I am exceeding weary. Poins. Is’t come to that? I had thought weariness durst not have attach’d one of so high blood. Prince. Faith, it does me, though it discolors the complexion of my greatness to acknowledge it. Doth it show vildly [vilely] in me to desire small beer? Poins. Why, a prince should not be so loosely studied as to remember so weak a composition. Prince. Belike then my appetite was not princely got, for, by my troth, I do now remember the poor creature, small beer. But indeed these humble considerations make me out of love with my greatness. What a disgrace is it to me to remember thy name, or to know thy face to-morrow, or to take note how many pair of silk stockings thou hast, [that is to say] these, and those that were thy peach-color’d once, or to bear the inventory of thy shirts, as one for superfluity, and another for use! As a professional trumpeter, I’ve had the good fortune to be in the orchestra pit for some two dozen performances of Giuseppe Verdi’s Otello (there’s no “h” in Verdi’s hero) with the San Francisco Opera, including a special performance of Act IV with Placido Domingo in the title role. What a treat. Otello is a story of love, jealousy, revenge, and murder, featuring one of grand opera’s greatest villains, Otello’s ensign Iago. If only Otello’s honorable lieutenant Cassio had been plied with small beer instead of wine—things might have turned out differently! 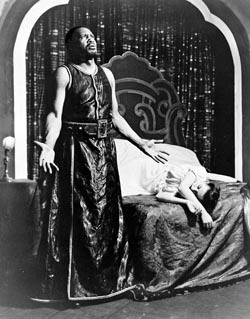 The premiere of Otello took place at Teatro alla Scala on February 5, 1887, nearly 283 years after the premiere of The Tragedy of Othello, the Moor of Venice. Verdi and librettist Arrigo Boito (1842–1918) opted to open the opera with Otello’s triumphant arrival at Cyprus (“Una vela! Una Vela! Un Vessillo! Un Vessillo!”), complete with thunder and lightning. It is one of the most thrilling opening scenes in all of opera. But it necessitated another cut. 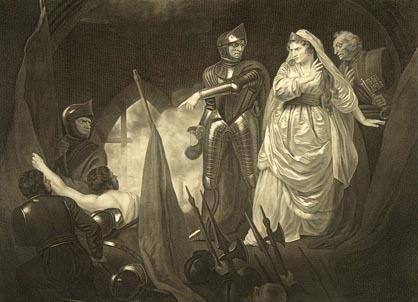 Most of Shakespeare’s Act II Scene 1 takes place before Othello’s arrival. It includes this fascinating exchange between Iago—who has been passed over for a promotion in favor of Cassio—and Desdemona, Othello’s wife. Here is Shakespeare’s multi-layered dialog between the beautiful and intelligent Desdemona and the treacherous and scheming Iago. Des. What wouldst write of me, if thou shouldst praise me? Des. Come on, assay [here the word assay means “try.” It is this original sense of the word assay that led Fritz Maytag to call each of our early experiments in distillation an essay]—There’s one gone to the harbor? Des. Well prais’d! How if she be black and witty? She’ll find a white that shall her blackness hit [fit]. Emil. [Emilia, Iago’s wife and unwitting accomplice] How if fair and foolish? Des. These are old fond paradoxes, to make fools laugh i’ th’ alehouse. What miserable praise hast thou for her that’s foul and foolish? Des. O heavy ignorance! thou praisest the worst best. But what praise couldst thou bestow on a deserving woman indeed—one that in the authority of her merit, did justly put on the vouch of very malice itself [so deserving that even evil would call her good]? Des. O most lame and impotent conclusion! Do not learn of him, Emilia, though he be thy husband. How say you, Cassio? is he not a most profane and liberal [unrestrained] counsellor? Cas. He speaks home [bluntly], madam. You may relish him more in the soldier than in the scholar. Iago. [Aside.] He takes her by the palm; ay, well said, whisper. With as little a web as this will I ensnare as great a fly as Cassio. Here, in Othello, we have the most famous of Shakespeare’s references to small beer. By “to suckle fools and chronicle small beer,” Iago means that even the ideal woman, as described in his poetic suppositions, should limit herself to nursing infants and keeping the household accounts (which would include, ironically, her family’s stores of small beer!). But is that all he means? There are plenty of “grown-up” fools in Shakespeare—Touchstone in As You Like It, Feste in Twelfth Night, Fool in King Lear. To Iago, Othello is the fool, whose accomplishments are nothing more than small beer. And if Desdemona is the ideal woman, worthy of Iago’s high praise, why should she care for such a fool? 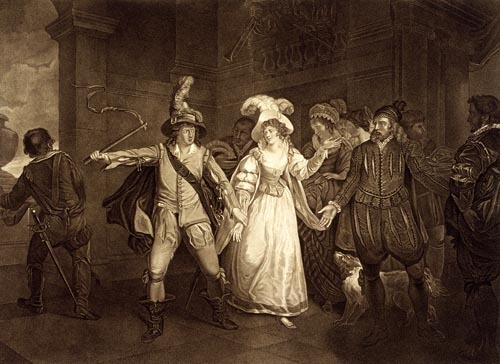 “O, you are well tun’d now,” Iago says to himself a few moments later, after listening to Othello and Desdemona declare their love for each other, “but I’ll set down the pegs [untune the violin] that make this music, as honest [“honest Iago’s” reputation makes his scheming all the more diabolical and effective] as I am.” The plot thickens. And, as the plot thickens, interpretations compound. 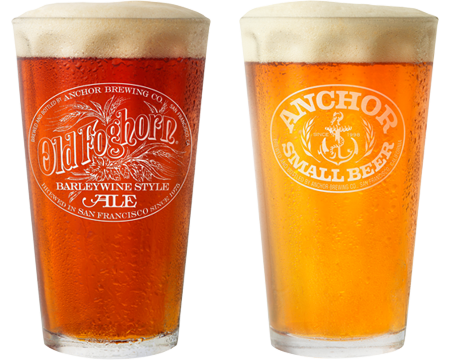 But when it comes to beer and the Bard, one thing is certain: small beer is no small beer! 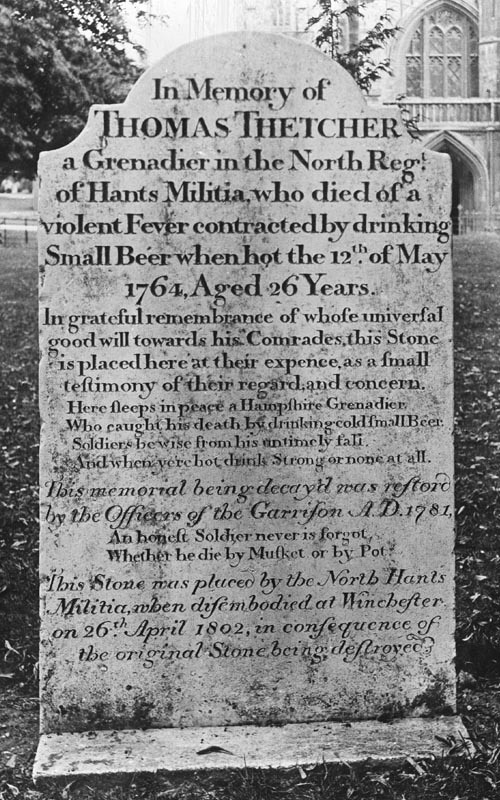 Who caught his death by drinking cold Small Beer. And when ye’re hot [feverish] drink Strong or none at all. So raise an Old Foghorn to Thomas Thetcher and an Anchor Small to Will Shakespeare anon!